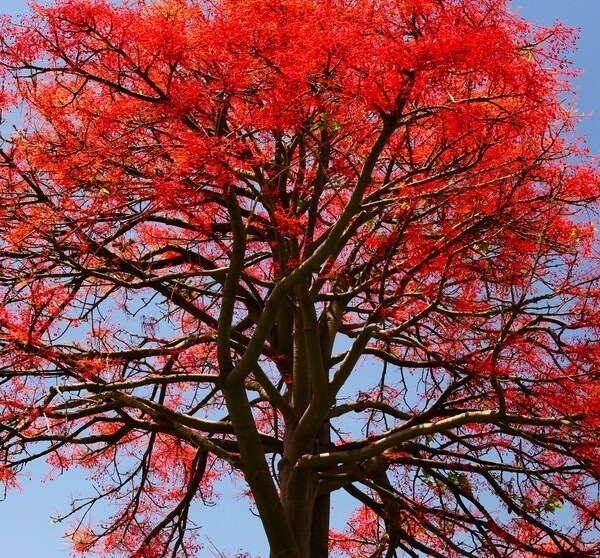 Semi-deciduous, large, pyramidal tree native to the East coast of Australia growing at a medium rate up to 10-15 metres in height and 7-9 metres wide. The large, shady, glossy, light green maple shaped leaves have up to 7 lobes. 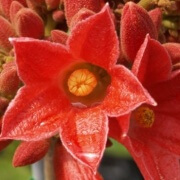 Showy bright red bell-shaped flowers bloom in spring. 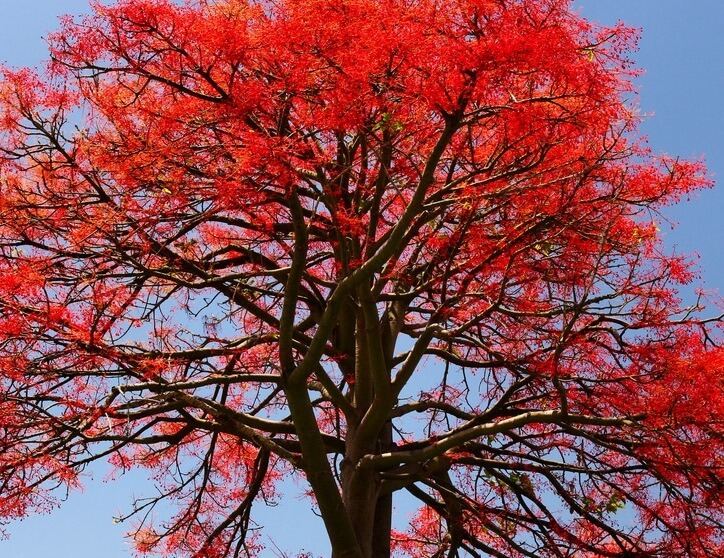 This tree prefers warmer climates and sunny positions with rich, moist, well drained soil however is adaptable. 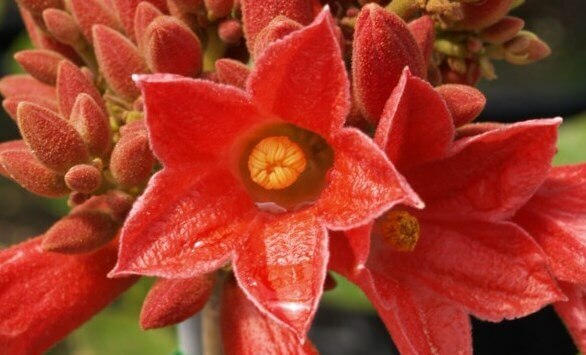 Once established it is drought and frost tolerant and easy to grow.